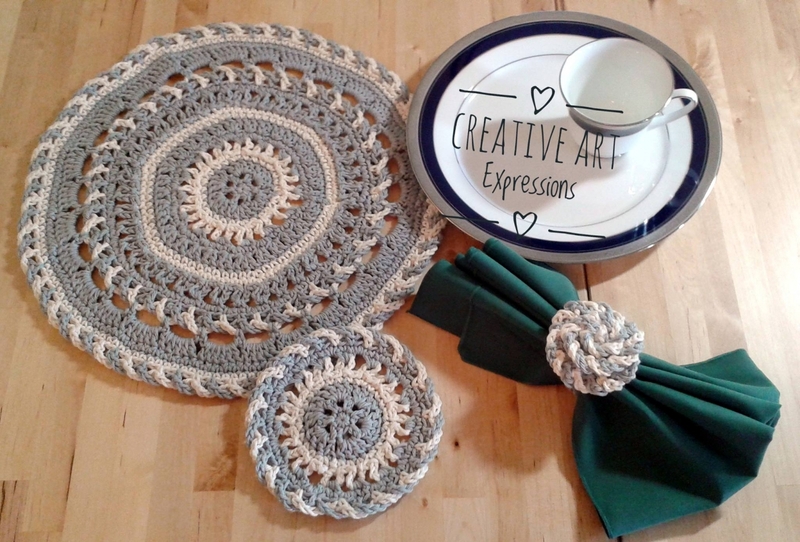 This round & elegant place mat set crochet pattern includes crochet directions for making the place mat, coaster & rose napkin ring! 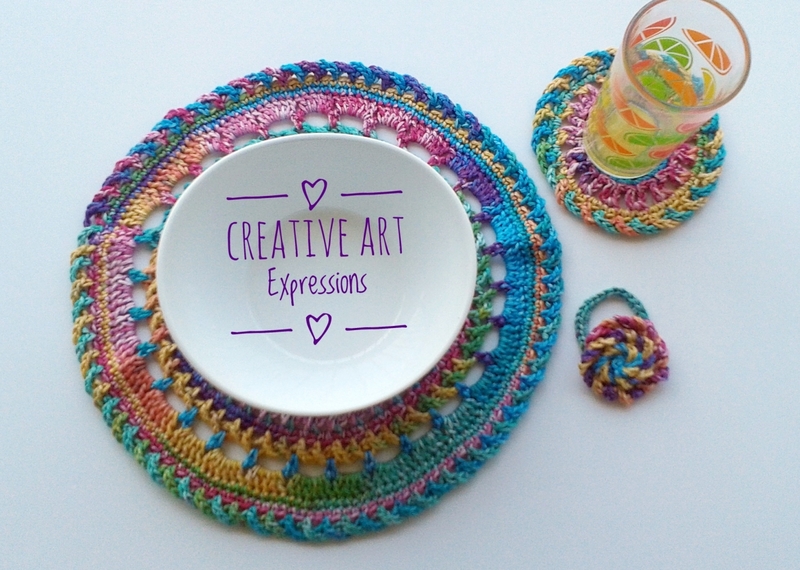 You can use this pattern to make place mat sets for every season! 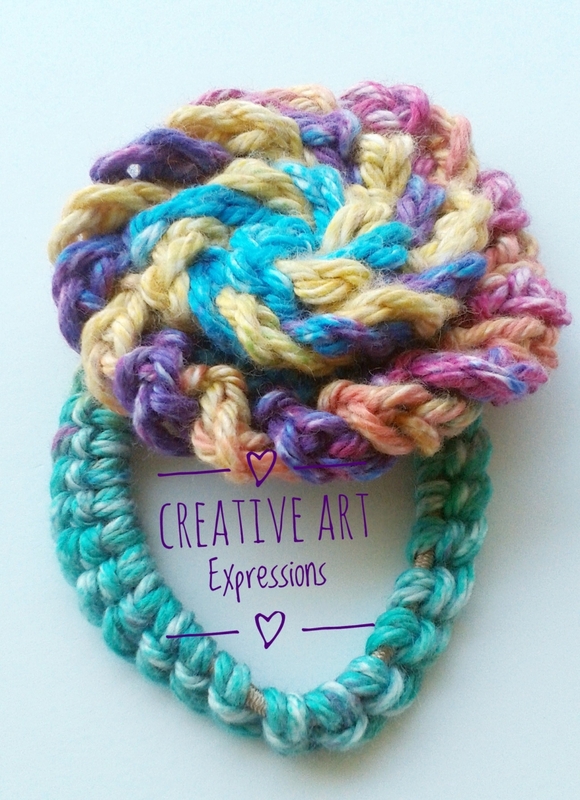 It is very elegant and can be changed to fun and retro with the right yarn! This pdf downloadable pattern also includes links to youtube tutorial videos I've created to help you. 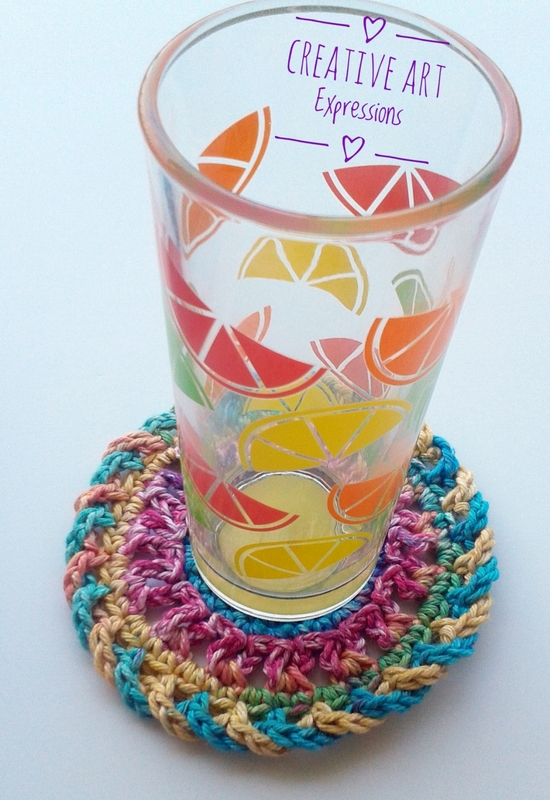 The place mat measures about 15" in diameter and the coasters measure about 6" in diameter. 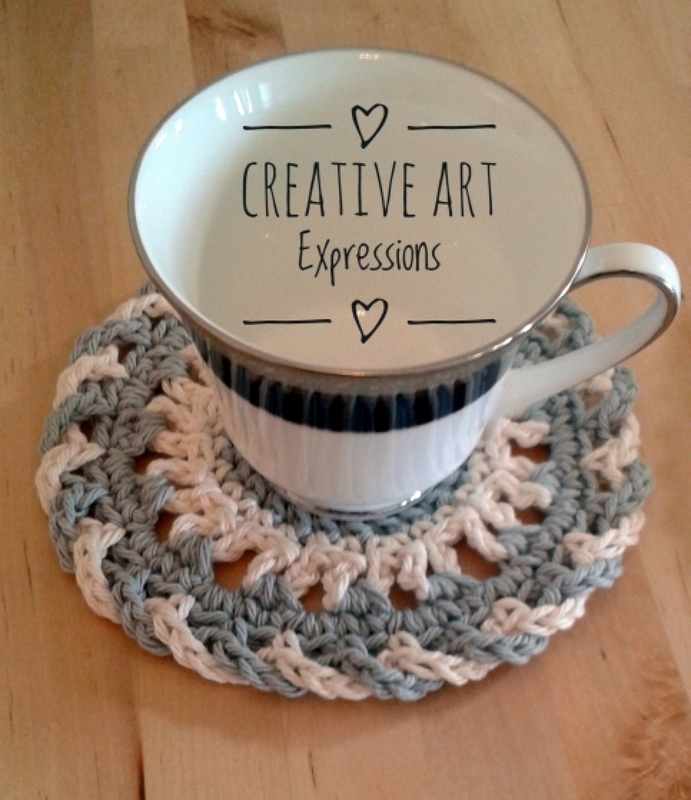 The coasters are extra large and look beautiful with fine china or can be used for those extra large cups. The flower part of the napkin ring is about 3" in diameter. For the napkin ring, you will need a hair band, O ring or a plastic shower curtain ring. It uses a size H (5 mm) crochet hook & 100% cotton yarn. I have used "Crafter's Secret" from Hobby Lobby & "I Love This Cotton" from Hobby Lobby. "Peaches & Cream" would also be a good yarn to use. They all are a size 4 medium worsted weight yarn which are machine washable and dryable. I am here to help along the way! This pattern is advanced/beginner to intermediate. 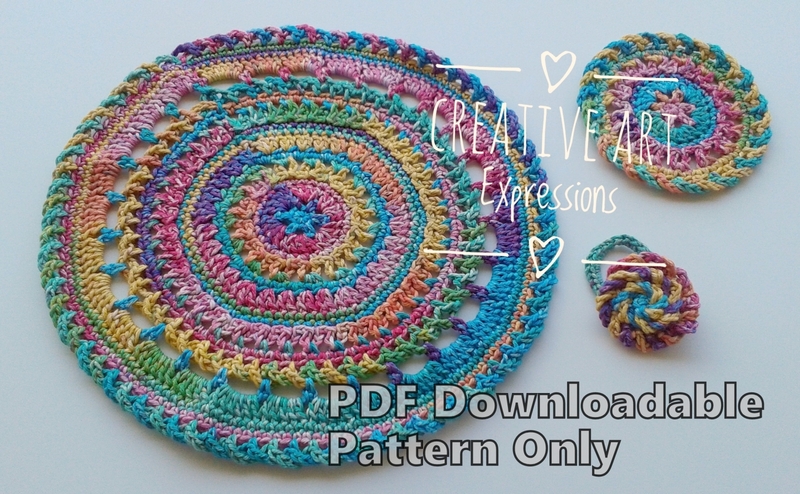 *Even though the pattern is marked as advanced beginner to intermediate, the video tutorials should help even the beginner to complete this beautiful pattern! *Please note this is for a downloadable pdf pattern, not for the actual item. *You are welcome to sell your finished product however you may not use my photos to sell your items. The pattern is my intellectual property and may not be shared, sold, changed nor passed off as your own in any way.